Charles City County | Scuffalong: Genealogy. 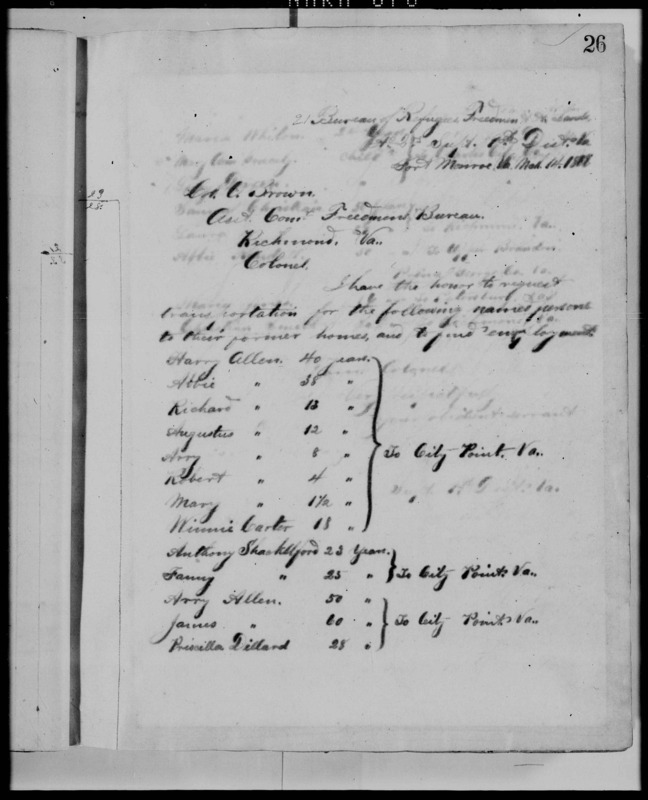 Charles City County – Scuffalong: Genealogy. DNA Definites, no. 20: Harrison. Edward Cunningham Harrison … was John C. Allen Sr.’s biological father. A recap: my great-grandfather’s mother, Mary Brown, married Graham Allen in 1876 in Charles City County, Virginia, during her pregnancy. Except that he was a white man, we knew nothing of John’s birth father’s identity, and I didn’t really expect ever to. 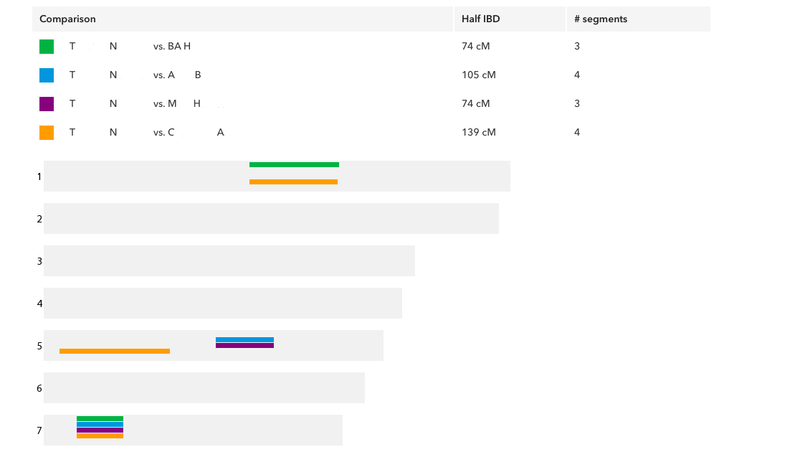 However, a few months ago, I got an estimated 3rd cousin DNA match at Ancestry DNA. I was intrigued. I have only six matches at that level. Three are with known paternal cousins, and all are African-American. Except this one. A.B. is all Great Britain and Ireland and Scandinavia and Europe West. I sent A.B. a message, and then a follow-up. She responded, and we briefly explored a dead-end or two. I examined A.B.’s family tree more closely. Two of her great-grandfathers were from Richmond, Virginia, which is just up the road from a couple of the counties in which my maternal grandfather’s forebears lived. One of A.B.’s great-grandfathers was Edward C. Harrison; the other, John S. Ellett. I inquired about both men, and she told me that her Harrisons had lived in Charles City County. We were getting warm. I asked A.B. to upload her raw data to Gedmatch, where I quickly determined that she is a solid second cousin match to my mother and maternal uncle. I told her that I believed that we were related through my great-grandfather and that Edward C. Harrison was the right age and in the right place at the right time to have been his father. A.B. immediately asked what she could do to help figure out the connection. I asked if she would test with 23andme, and she readily agreed. So did her sister. A couple of weeks ago, their results posted. My mother, my uncle, my sister and all six of my first cousins have tested with 23andme. All of us match A.B. and her sister M.H. The closeness of the DNA matches confirm a recent common ancestor, and all signs pointed toward Harrison. I needed to eliminate Ellett though. A.B. and my mother, 267 cM total match. In reviewing my matches, I noticed that T.N., a long-time and fairly close match, also listed Harrison among his surnames. From my mother’s 23andme matches — sisters M.H and A.B., T.N.’s mother, and T.N. I also found that T.N. matches A.B. and her sister and, most importantly, they all share matching segments of the same chromosomes with my Allens. This “triangulation” proves that all of us descend from a common ancestor. Through Edward, we are descended from or related to the oldest colonial families of Virginia — Harrisons, Randolphs, and Carters, among others. A signer of the Declaration of Independence. Two presidents. Pocahontas. (Yes.) These families were also owners of several of the large plantation houses still standing in Charles City County, including Westover and Berkeley. (At this time, however, I don’t think that any of my forebears were enslaved in the area.) I’m not sure how John Allen’s mother Mary Brown met Edward C. Harrison or what the nature of their relationship was. She was from Amelia County, and there was a Harrison branch there, but I don’t know if she knew them. A.B. is ecstatic to learn that her grandfather had a half-brother. So is her sister M. My family, too, is amazed. I’m hoping that, with their help and some deep sleuthing, I will learn more about the circumstances of John Allen’s birth. And I may meet A.B. when she comes to Georgia next month. The truth will out. DNA tells the tale. The case for the Carters. Per my great-aunt, Julia Allen Maclin, her grandfather Jasper Holmes and Joseph R. Holmes were brothers. According to historian Luther Porter Jackson, Joseph had a brother “Watt,” who was a shoemaker like Joseph. Jasper Holmes and Joseph Holmes were born in Charlotte County, Virginia, circa 1838 and 1841. In 1867, Watt Carter registered to vote at Clements’ in Charlotte Court House, as did Joseph Holmes. Joseph’s death certificate, issued in 1869 in Charlotte County, lists his parents as Payton and Nancy Holmes. Neither Payton Holmes nor Nancy Holmes have been found in the 1870 census or any other record. In the 1870 census, Joseph Holmes’ children Payton, Louisa and Joseph, and possibly his widow, appear in the household of Wat and Nancy Carter in Charlotte County. Wat and Nancy have a son also named Wat. On 14 June 1873 in Charles City County, Lotsey Carter, age 22, born in Charlotte County to Walter Carter and a mother whose name is illegible, married Claiborne Booker, born in Chesterfield County and residing in New York. 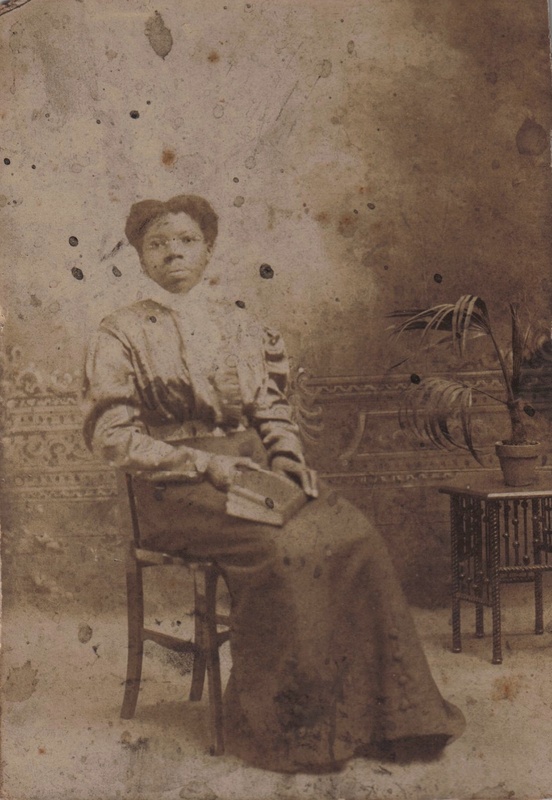 On 10 January 1874, Lettie Booker opened account #6605 at the New York branch of the Freedmen’s Bank. She stated that she was 22 years old; born in Richmond, Virginia; and resided at 28 Cornelia Street. She was light brown in complexion; worked washing and ironing; and was married to Claiborne Booker. Her father was Watt Carter of Keysville [Charlotte County], Virginia; her mother was named Nancy; and her siblings were Watt, Eliza and Louisa. In the 1880 census of Queens, Queens County, New York: living on premises, Claiborne Booker, 39, headwaiter in a hotel; wife Lettie, 28, laundress in hotel; and Walter Holmes, 12, “nephew.” All were born in Virginia. On 23 October 1883 in Charles City County, Walter Carter, age 28, shoemaker, born in Charlotte County to Walter and Nancy Carter, married Alice Christian, 22, of Charles City County, at Shirley. Watt Carter died 3 May 1885 in Charles City County at age 72. His death certificate states (probably erroneously) that he was born in Charles City County. And possibly: “Claiborne Booker has been appointed guardian for the estate of the late Louisa McKie and in his custody her children, Wm. McKie and Clarence McKie, have been placed by the surrogate court of New York county.” New York Age, 16 March 1905. My conjecture: Nancy [last name unknown] married first Payton Holmes in Charlotte County and had at least two children, Joseph and Jasper. Nancy then married Walter “Wat” Carter in Charlotte County. Their children included Louisa, Lettie, Walter Jr. and Eliza. Between 1867 and 1870, perhaps in response to his brother’s murder, Jasper moved his family to Charles City County. Between 1870 and 1873, Wat and Nancy Carter and family also moved to Charles City County. Lettie Carter Booker married and settled in Queens with her husband. For some period, her nephew Walter Holmes, son of Jasper, lived with them. The fortuitous capturing of this stay in the 1880 census cements these relationships for me, as it is a direct connection between Jasper and his half-sister. Sources: federal census records; Charlotte County VA death records; Charlotte County voter register; Charles City County VA birth, marriage and death records; Freedman’s Bank records. All this (much-deserved) shine on Joseph R. Holmes, but he is not my direct ancestor. What do I know about Jasper Holmes? Jasper Holmes was born about 1841 in Charlotte County, Virginia. He was probably the son of Payton and Nancy Holmes, who are listed on his brother Joseph’s death certificate. His step-father may have been Walter “Wat” Clark. Circa 1862, presumably in Charlotte County, Jasper married a woman named Matilda, who is nearly a complete enigma. Though she is consistently named in census records, her children’s birth certificates call her Matilda, Mary and Ellen. I have never found her and Jasper’s marriage license, nor is her maiden name listed elsewhere. She died 26 July 1885 in Charles City County, Virginia, and her death certificate lists her place of birth of Charles City County, but this is doubtful. Jasper and Matilda’s first child, Robert Holmes, was born about 1863, probably in Charlotte County. Tax records filed in Charlotte Court House for 1866 list Jasper Holmes in District #2 (T.M. Jones, revenue commissioner) and paying one black poll tax. Charlotte County tax records for 1867 show that Jasper had moved to District #1, Charles W. Harver, commissioner, and was living at J.A. Selden’s. He paid one black poll tax. Second child Walter Holmes was born about 1867, probably in Charlotte County. He presumably was named after his step-grandfather. Third child Angelina “Lina” Holmes was born about 1869, probably in Charles City County. On 3 May 1869, Jasper’s brother Joseph R. Holmes was shot dead at Charlotte Court House while asserting the rights of a freedman against a former slaveowner. Around this time, whether in direct response to this terrible crime or not, Jasper and his family, as well as his mother and stepfather’s family, moved more than 100 miles east to Charles City County. Fourth child William Holmes was born in 1872 in Charles City County. 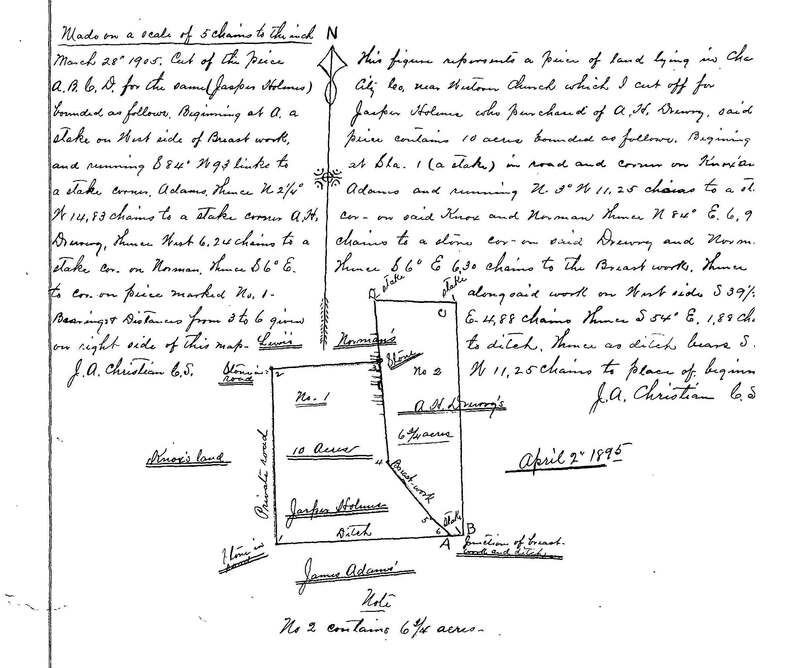 On 4 Apr 1873, Jasper Holmes filed a deed (book 12, page 483) at Charles City County Courthouse for the purchase for $5 of 10 acres in the Mill Quarter tract from A.H. Drewry et ux. The sale took place 18 Feb 1873. Fifth child Joseph Holmes was born in 1874 in Charles City County. He was named after his uncle, Joseph R. Holmes. On January 20 and 21, 1875, William and Joseph Holmes died of whooping cough. Sixth child Emma V. Holmes was born about 1876 in Charles City County. Seventh child Mary Agnes Holmes, my great-grandmother, was born 15 October 1877 in Charles City County. 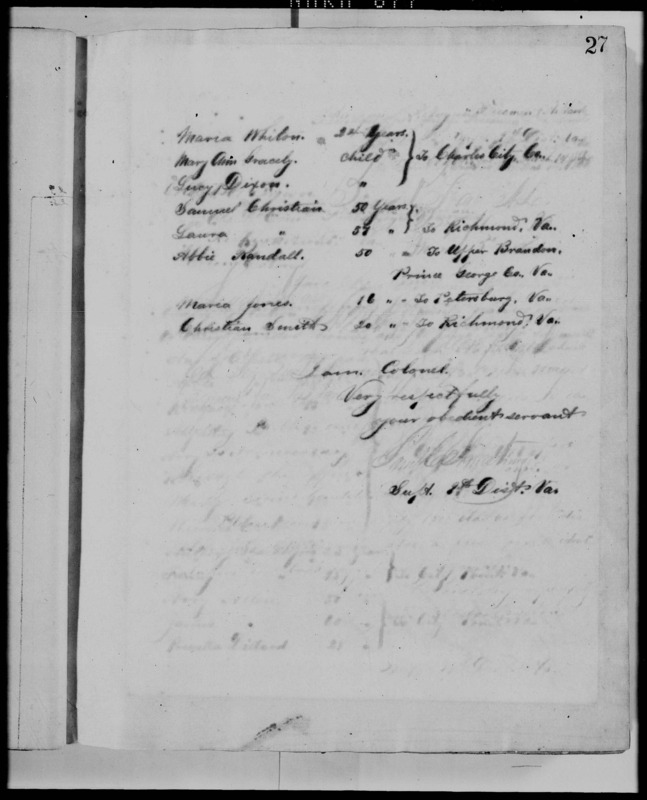 Her birth certificate notes that the family lived at R.L. Adams’ place. On 20 Jan 1879, Jasper Holmes filed a deed (book 12, page 332) at Charles City County Courthouse for the purchase on 16 Oct 1878 of 9 acres from Robert L. Adams et ux. The tract was bordered by William Rolands, Robert L. Adams, the old breastworks or fortifications, and the old ditch. Eighth child Martha “Mattie” Holmes was born about 1879. In the 1880 census of Harrison, Charles City County: Jasper Holmes, wife Matilda, and children Robt., 19, Walter, 13, Lena, 10, Emma, 4, Agness, 2, and Mattie Holmes, 1. A ninth child, an unnamed male, was born in 1880 in Charles City County. On 18 November 1880, that child died. An eleventh child, unnamed, was born 26 July 1885 and died 2 September 1885. On 26 July 1885, Jasper registered a death certificate for wife Matilda Holmes, who died in childbirth. On 4 June 1886 (or 1887, there are conflicting duplicate records), son Walter died of consumption. On 8 November 1886 (or 1887, there are conflicting duplicate records), daughter Angelina died of consumption. On 30 Dec 1890, Alonzo P. Patterson filed a deed of transfer at Charles City County Courthouse for the transfer of 10 acres from Jasper Holmes to him. On 7 Aug 1897, Jasper Holmes filed a deed at Charles City County Courthouse for the purchase of two lots, one 6 acres, the other 1 3/4 acres from A.H. Drewry et ux. On 30 Dec 1899, at Charles City County Courthouse, the estate of Jasper Holmes, dec’d, filed a deed of transfer for 10 acres to Mary H. Allen and John C. Allen, her husband (my great-grandparents), and Martha H. Smith and Jesse Smith, her husband, all of Newport News VA; and Julia E. Holmes, unmarried, of Charles City County VA, heirs at law of Jasper Holmes. On 10 Jan 1910, at Charles City County Courthouse, Mary Allen of Newport News VA and Julia Holmes of the City of New York, children and only heirs of Jasper Holmes, dec’d, filed a deed of sale for the sale of 10-acre and 6 3/4-acre parcels to James Clark for $300. Where we lived: ten acres near Westover Church. Westover, dating back nearly 400 years, is one of the oldest Episcopal parishes in Virginia. The current church was built in 1631 and remains active. Confederate breastworks running between the church and Evelynton plantation, on the south side of John Tyler Memorial Highway, are still visible. Her headstone is wrong. Mary Agnes Holmes was born October 15, 1877 — not October 22 — on the R.L. Adams’ plantation in Charles City County, Virginia. Her parents were tenant farmers there, and Agnes was one of a handful of Jasper and Matilda Holmes‘ children to survive to adulthood. Agnes’ mother died when she was about 8 years old, and her father apparently did not remarry. Jasper Holmes was an ambitious man and managed to purchase several small plots of farmland upon which he supported his family in a degree of comfort. The Holmeses may have attended New Vine Baptist Church and, if so, that is likely where Agnes met John C. Allen. Me: Now, his mama didn’t ever work, did she? My grandmother: Who? Indeed, she did work. Me: Like, outside the home? Cousin N: Was gon shrink up. By the time my mother and her siblings were children, Mary Agnes Allen had assumed the domestic role I’d always imagined her in — at home on Marshall Avenue, among Tiffany lamps and lace antimacassars, preparing roast beef to serve on Blue Willow china to a husband just home from this board meeting or that union affair. Her grandchildren speak of her ambivalently, aware of the casually cruel distinctions she drew among them, but unable to name any particular misdeed. Me: Well, was Mary Agnes mean to y’all or what? My mother: She was not to me, that I remember. I don’t know what this was about. Ahh … maybe it was that she was not friendly. Maybe she wont like Grandma Carrie, joking and saying little funny stuff. I don’t know. I don’t know what it was. Her grandchildren — at least, her son John’s offspring — felt that lack of warmth acutely. 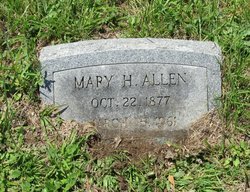 Though their 35th Street home was only a mile away from hers, Mary Agnes Allen does not feature much in the stories of their childhood. (Nor, frankly, does John Allen Sr.) In her later years, she left Newport News to live with her daughter Edith Allen Anderson in Jetersville, Amelia County, Virginia. The photo below, I’m guessing, was taken shortly before her move. And seems to reveal a softer side. Mary Agnes Holmes Allen died March 15, 1961, just two months before my mother married in the sideyard at Marshall Avenue. A brief obituary ran in the Daily Press on the 17th, noting that she was a member of Armenia Tent No. 104 and the Court of Calanthe. 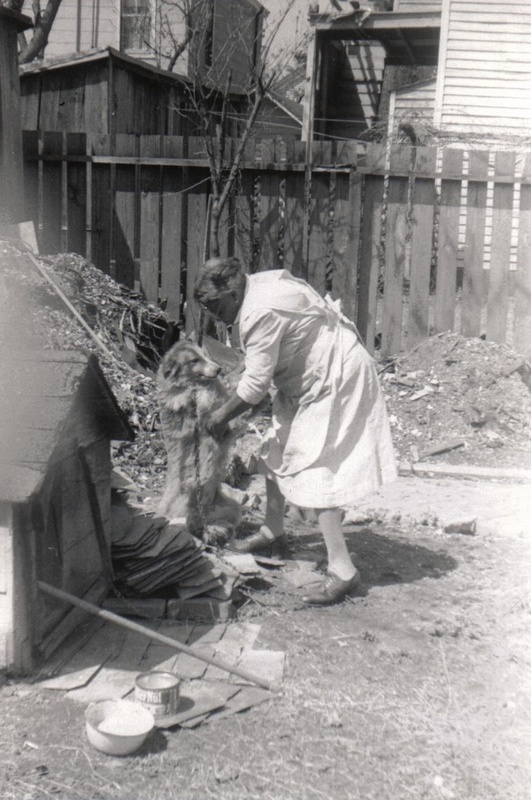 She was survived by three daughters, a son, a “foster son” (actually, her nephew), a sister, and, most curiously, “12 grandchildren and 10 great-grandchildren.” In fact, she had ten grands and no more than three great-grands. Interviews by Lisa Y. Henderson, all rights reserved. Photographs in collection of Lisa Y. Henderson.